Shillong Lajong FC announced the signing of Romanian defender Dan Gelu Ignat, Japanese midfielder Yuta Kinowaki and Cameroonian striker Aser Pierrick Dipanda for the 2016-17 I-League season. The Club has also retained the services of Brazilian forward, Fabio Pena Henrique who scored four goals for the Club in his very first season in India. While Lajong will be Ignat’s first Indian club, Kinowaki is no stranger to the country or the North East, having played for Aizawl FC in 2015-16. The versatile Japanese midfielder is also adept in defence and, along with Ignat, should provide solid protection in front of the defence. Kinowaki spent his youth years at Kyoto Sanga FC in Japan before moving to Poland and Latvia, where he was a member of the Energetyk Gryfino and BFC Daugavpils teams respectively.After one season at Daugavpils and a short stint at Kyoto Shiko SC back in his home country, Kinowaki signed up to Aizawl FC, for whom he scored two goals in the 2015-16 I-League. Most of Ignat’s career has been in his native Romania, though he most recently played for Al-Ramtha and That Ras in the Jordan Premier League. The right-footed central defender started his youth football with ŞCF Gica Popescu in Romania and has played for various clubs in that country between 2004 and 2014 in Liga 1 and Liga 2 of the Romanian Football League. Meanwhile, Aser Dipanda spent the majority of his career from 2008 to 2014 playing in Spain with Valencia B, La Roda, Olímpic de Xàtiva, and Alzira. He then moved to India and joined DSK Shivajians in the I-League 2015-16 season where he scored 7 goals for the new club from Pune last year. Thangboi also expressed his delight on resigning Fabio Pena Henrique and said that the Brazilian has a lot of potential and believes that he will play a major role in helping the team win games this new season. Lajong is confident that the combination of these four excellent footballers will give the younger Reds the support they need to compete against other I-league clubs. 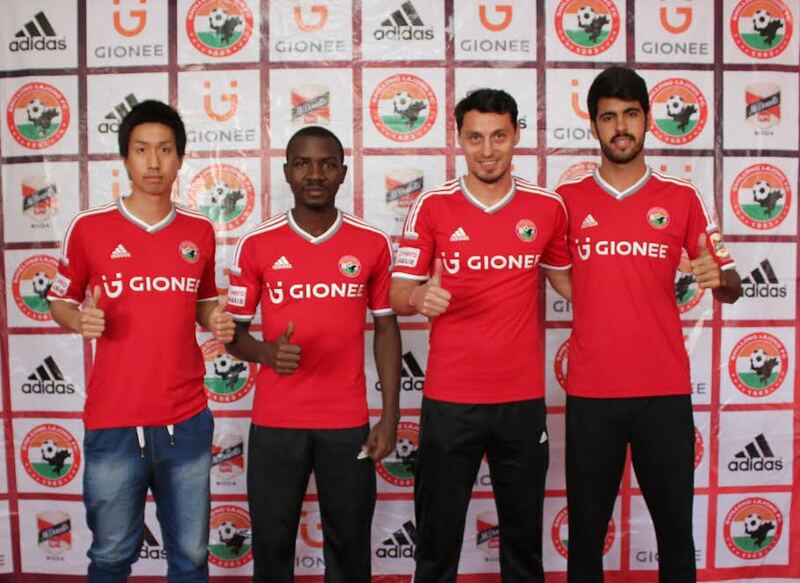 2016-17 will be the seventh season of the I-League for Lajong, an unmatched feat for any club from the North East region, and all the team members are aiming to accomplish their goals this season.